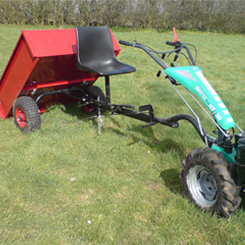 Home › Tractors & Machinery › Offers & Used Equipment › Used Two Wheel Tractors & Equipment. Equipment For TWO WHEEL TRACTORS. Sweeper collector for M210 £365.